There are many different e-cigarette flavours available today. Many people who use e-cigarettes will carry a few different flavours around, allowing them to swap over whenever the mood takes them. Having a variety of flavours helps to keep their e-smoking interesting. There are people who will only smoke one flavour because they say they won't like anything else but we think it's best to experiment and try out new and interesting flavours. There are tobacco and menthol flavours if you want the same taste as smoking a traditional tobacco cigarette. There are a wide range of flavours available including a variety of fruit flavours such as cherry, bananas and peach; there are also lots of other interesting flavours including pina colada, mint, coffee, vanilla and chocolate. Why do people switch between flavours? You might be wondering when you would want to try out different flavours, examples include having a chocolate e-cig after dinner instead of dessert or a coffee cartridge in the morning. If you find you are becoming bored of a flavour, then it is best to switch to a new one in order to rejuvenate your taste buds and make your e-smoking experience interesting. When starting out with e-cigarettes most people want a flavour that is as close to a real tobacco cigarette as possible so they choose tobacco or menthol. However, after adjusting to e-cigarettes, most people find they really enjoy the different flavours of electronic cigarettes, especially as one of the benefits of no longer smoking traditional tobacco is that the taste buds recover their ability to taste again. 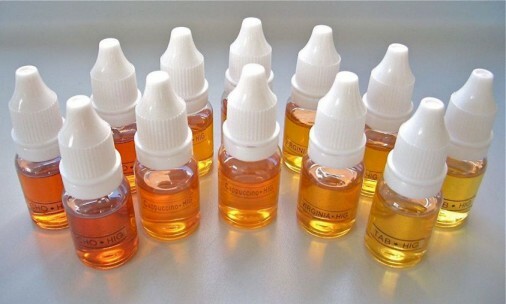 There are a lot of benefits to be had from experimenting with new and improved e-cigarette flavours. You will never get bored of flavours as are so many different ones to try out and new ones are being into the market released all the time. When searching for a flavour that you really like, it is best to try out a few different ones to help you to decide what your personal preference is. Most people soon decide to move away from the traditional tobacco flavour onto something more exciting that tastes better! I must admit that I missed the taste of tobacco at first... it was making it harder to stay off cigs, but if you try out some of the flavours (particularly chocolate) you won't be going back! I think when people get their kit at first they’ll want to experiment a bit and see what works for them. Pretty soon you won’t fancy tobacco as much! Has anyone tried pina colada? I'd like to give an exotic taste a whirl. I'd like to try something tropical. Any suggestions? Maybe a coconut?